I have known a pisces man for about three years now. 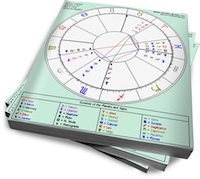 We met when he was in a relationship – of course it was one he truly did not want to be in, but being a pisces I know it would take time for him to get out of the relationship entirely. I never truly understood why I was so intrigued by this pisces man until I started studying astrology. We both went our seperate ways, sending sweet notes to each other every couple months or so. Still not understanding my feelings for him, I got involved with another guy, an Aquarian. I learned a lot over those two years, but of course could not forget about the Pisces. Now, three years after meeting him, he has a girlfriend, a Leo and I am single again still thinking of him. Sometimes we meet and when we see each other it is immediate mysticism. Of course, right? haha. Anyway, so I told him how I felt. He got uncomfortable, nervous as he admits. From knowing him for three years I feel like I can see right through him. In my opinion, he is not IN LOVE with the Leo, only comfortable because he can live his life the way he wants to; he can travel, play in his band, write his novel, and she is there for him to return home to. Both of them are artists and I find that they are comfortable with that way of living together. Notice I keep mentioning the word “comfortable” – that is all I see in their relationship. I am a Libra and as you know I love to love. And I pride on that. I could show him a level he’s never experienced before. He used to tell me “one day we will be together.” And now he acts like he is completely shutting himself off because he is scared for what I provide him with. We have had some intense times together and I know that could continue. I know this because my best friend back home is a Pisces man and our energy is incredible. Both of my parents are Pisces. I think they are absolutely fascinating. I know you cannot predict that future, but I want to know what on earth is going on with him? I know I bring him back to earth from his dream world. Why is he so afraid of that? I will see him March 3rd I want it to be a time he will never forget. We are friends, but the feelings are so much stronger. Perhaps this Pisces man does not want intensity. After indulging in his creative passions, maybe returning home to “comfort” is just what he needs. What if, with his sensitivity, he does not feel he can emotionally or energetically accomodate both his artistic endeavors and an intense relationship? Maybe you are his muse, and he works better if he channels his fantasies about you into his art, instead of living out the reality of a relationship with you, with all of its daily challenges. Pisces need to retreat. They access their imaginations in their much needed alone time, and can feel overstimulated with too much relating. Libra is all about relating. Leo is no more compatible with Pisces than Libra is, but maybe his Leo girlfriend’s focus on creativity doesn’t wipe him out. He can validate her artwork, she’s satisfied, and they both can do their thing. You can speak your truth and risk that he’ll leave b/c he doesn’t want to stop flirting and drinking heavily. Or you can meekly accept his behavior. Up to you. Hahahahahahahahaha!!!!! now thats true entertainment! jeffrey i absolutely adore your humor! ive read alot of your replys to people [not in a stalker way!] and omg! you say the most unexpected funniest things to people! kuddos jeffrey! and to libra girl. your little spazztic freak out just shows that as aesthetic and beautiful libras are they can also be quite UGLY at times! i should know ive dated two in the past. so tsk tsk libra girl. I had the best morning laugh after reading all that. I am glad i joined this site. 😉 Jeffrey, keep up with good work! Note to everyone who commented on this post — I removed Libra Lauren’s comments at her request, so some of the above comments may not make sense without the full context. Larisa — Am I mystical? I certainly didn’t create this site to observe all of you in your little moves. I created it because I like to write. Jeff- Yes, you are mystical. Someone said here Pisces men attract women because they are mystical. You seem to be mystical, I don’t know you, but I sense irony and some quiet mystery, yet you are well grounded. It is all good. Larissa, all these things may be true, but Pisces has its dark side too. What can I do to disabuse you of your projection? ok, tell me what is your dark side? I can tell you mine. we are all have something. i did not have a spaztic freakout!!!! !